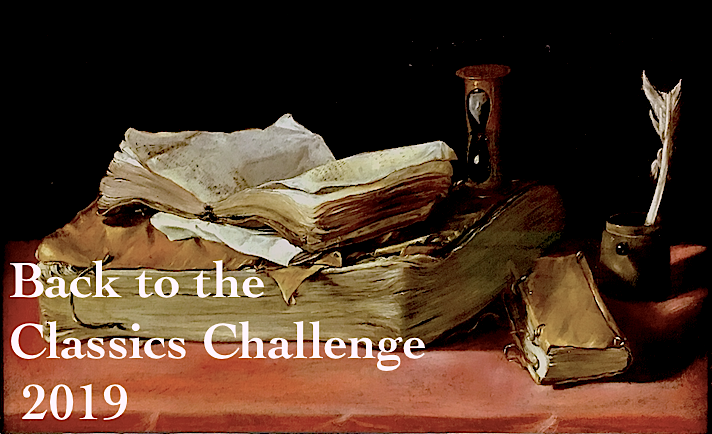 Back to the Classics Challenge 2015: Last Chance to Sign Up!! Just a reminder, the deadline is near!! March 31st is the last day to sign up for the Back to the Classics Challenge! Read as few as six classic books and post about them, and you could win a $30 (US dollars) gift certificate from Amazon.com or The Book Depository!! Click HERE for more details and to sign up! I've owned I Married Adventure since 2008, just before I moved to Texas. We were still living in Florida and we made one last trip to DisneyWorld before we left. Believe it or not, there are excellent books for sale all over the Disney parks in the gift shops, and not just about Disney characters and animation. In particular, the Epcot theme park has tons of great books in the World Showcase -- nearly every country represented has books from or about that country. I actually bought this book in a little gift shop where they had a lot of African gifts. I think I had just read West With the Night by Beryl Markham, and was hoping it something similar. 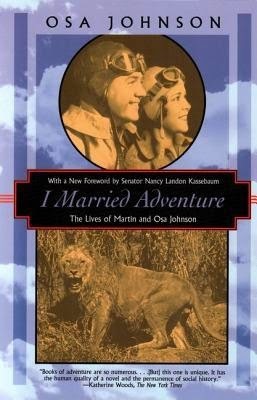 So, this is the memoir of Osa Johnson, who was born in Kansas in 1894 and was a world traveler along with her husband, photographer and filmmaker Martin Johnson, in the early 20th century. They had amazing adventures. It's a really interesting story, and though I did have a few issues with the book, I'm sorry I took so long to read it. Martin was born in a small town in Kansas in 1884. Martin was fascinated by the cameras his father had in the family's jewelry shop, and was a self-taught photographer. He got expelled from school at sixteen, and decided to see the world and make his fortune with his camera. After an unsuccessful attempt on his own, he had a big break saw a magazine advertisement from the author Jack London, who was building a ship and was planning to circumnavigate the globe. Amazingly, Martin got a spot on the ship, despite having no sailing experience. Though they didn't quite make it around the globe (London suffered health problems and had to cut the trip short), Martin was determined to continue with his travels. He started speaking about his amazing voyage to groups, and began to attract enough of an audience that he rented out theaters back in Kansas, where met his wife Osa, nine years his junior. After a whirlwind courtship, they married, and Osa joined Martin on his speaking tours, where they struggled to earn enough to go on another photography tour. Through hard work and determination, they became an amazing team, and created groundbreaking photographs and films about wildlife (and to a lesser extent, native people), mostly in the South Pacific and Africa. Overall, I liked this book. I'm really fascinated by adventures stories. I liked reading about all the obstacles they overcame, with weather, terrain, and technical issues with early cameras. Some of their adventures were quite harrowing and even a little gruesome. In the South Seas, where they sought out natives who'd had little contact with Western culture, some of whom were actual cannibals and head-hunters. (I used to think this was a myth. It is not.) Osa and Martin also met some really fascinating people, including legendary explorers and even royalty. For example, while on an extended trip in Kenya (then British East Africa) in 1925, they ended up meeting the Duke and Duchess of York -- the future George VI of England (for us Yanks, that's the same monarch from The King's Speech, who took over when his brother abdicated and was the father of the current monarch, Elizabeth II). Osa Johnson and a friend. However, I did have a few issues with the book. It was first published in 1940, and as you might expect, some of the attitudes toward other racial groups are not what they are today and some of the references to native peoples is occasionally tinged with racism, though it isn't constant. 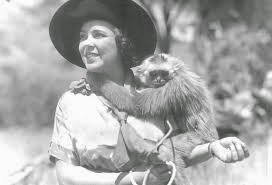 And though Osa states repeatedly that she and Martin are primarily photographers interested in recording animals and are appalled by big-game hunters who merely want trophies, she does discuss instances in which animals get shot, though it's always for food, or in self-defense. It's probably hypocritical of me to be uncomfortable about this, as I'm not a vegetarian. Martin and Osa were concerned even back in the 1920s about endangered species, but there's quite a few instances of shooting animals. The writing in this book isn't what I'd call great -- Osa has kind of a gee-whiz style, not what I'd call lyrical or beautiful. I wish she'd been more specific about dates, though they're not altogether left out. Also, the end of the book felt rather rushed, and it just sort of stops. There's a copy of a news article at the end which explains why, but I still felt a bit unsatisfied. This book isn't a beautiful, lyrical example of travel writing, but overall, it's very entertaining if you can ignore some of the outdated attitudes of that time period. So -- just back from vacation, where I did actually have time to get some reading done, what with long flights, layovers, and jet lag. 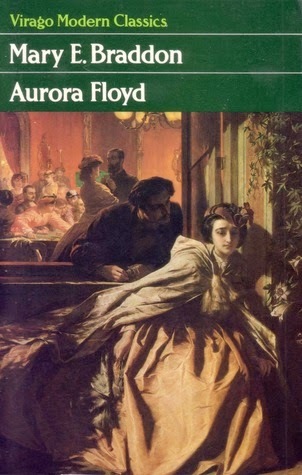 I can hardly go on a vacation without a big fat Victorian novel, and this time I read Aurora Floyd by Mary Elizabeth Braddon, the queen of the Victorian sensation novel. Set in the 1850s, this is the story of the Aurora Floyd, who is young, spoiled, and rich. Her father is a wealthy banker who fell in love late in life with -- gasp! -- a beautiful actress from a poor family. Knowing a good thing when she saw it, Eliza Prodder married rich Archibald Floyd, nearly 20 years her senior. However, they seemed genuinely happy despite all the sneering from the rich neighbors, but sadly, Eliza died in childbirth after just a year of marriage, leaving behind the eponymous Aurora Floyd and her doting but bereaved father. Fast-forward seventeen years -- Aurora is beautiful, spoiled and used to getting her own way. After some naughty behavior, she's shipped off to school in France. She returns home to Kent after a year, looking poorly. There are hints of some secrets -- is she being secretly blackmailed? However, Aurora perks up eventually and is joined by her sweet cousin Lucy as a companion during the Season of balls during which all young ladies are essentially on the marriage market. Two potential suitors stand out -- Talbot Bulstrode, the proud heir of a long line of aristocrats who is short in cash; and John Mellish, a blustering but lovable Yorkshire squire. Both fall in love with Aurora, and at first it seems like Bulstrode is the lucky winner, though Lucy is secretly in love with him and pining away. However, there's trouble in paradise. A few months after their engagement, Talbot learns from a cousin that Aurora ran away from school and was MIA. Suspicious, he confronts her, but she refuses to reveal her secret, and he breaks off the engagement. Eventually, she marries Mellish, who promises never to ask her secrets and love her and trust her no matter what. 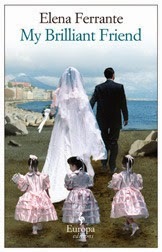 Of course, this promise comes back to haunt him when a handsome groom named James Conyers comes to work for her husband. His appearance throws everything into turmoil, and that's when the book really gets rolling. This book had a lot of great elements to it -- a strong heroine with flashing dark eyes, two men competing for her hand in marriage, blackmail, scandal, gossip, a detective -- it's a classic Victorian sensation novel. A couple of years ago, I read Lady Audley's Secret by the same author, and loved it. It's the second book I've read by Mary Elizabeth Braddon. Aurora Floyd has a lot of the same themes, but I felt liked it dragged a little in comparison. There's an omniscient narrator that editorializes a bit too much for my taste. I did find some of the plot points pretty obvious, and the author definitely depends on the deus ex machina as a too-convenient plot savior more than once. 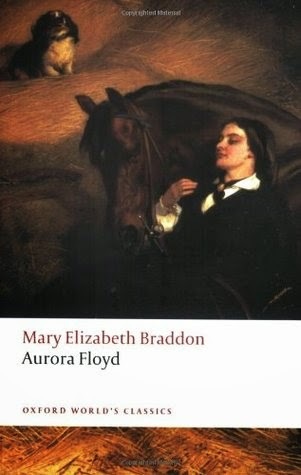 Overall, though, I'm accepting this book as a product of its time -- Mary Elizabeth Braddon was pretty groundbreaking as a Victorian author, not just as a woman author. She wrote more than 80 novels, which is impressive for any author, during any time period. Most of them are out of print but a lot of them are available for free on Gutenberg.org. I'm counting this as my Classic by a Woman Author for The Back to the Classics Challenge, and this also counts for the Reading England Challenge. Yes, those ARE giant mountains of gelato. Yep, I'm going back to Italy!! A week in Rome, but this time we're bringing the kids. But less books than last year -- I packed SIX books, of which I only finished three (plus I downloaded an ebook on my husband's iPad). That was waaaay too many (my suitcase was small but heavy; my husband was a saint and didn't say a word). This year, I'm only allowing myself three, plus we're sharing a Kindle and the iPad. I don't plan on taking a two-month break from blogging before my next post! Ciao!! After nearly two months, I've finally completed The Pickwick Papers by Charles Dickens. For the past few years, I've been trying to work my way through all of Dickens' novels. This is the penultimate novel on my list; now, I'm only missing The Mystery of Edwin Drood. 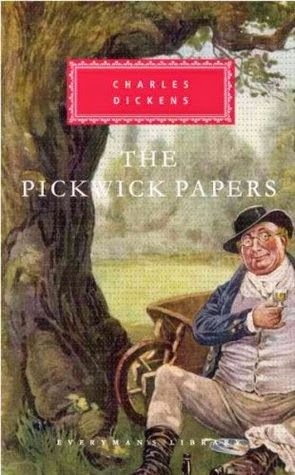 For those who don't know, this is a picaresque tale about Mr. Moses Pickwick, a financially comfortable gentlemen of a certain age, and his three friends (Tupman, Winkle, and Snodgrass) and their adventures and misadventures as they travel around England in the 1820s. Along the way, Pickwick hires a young manservant, Sam Weller, who in my opinion is the real star of the novel -- frankly, I wish the book was entirely about Sam. Published in 1837, it is Charles Dickens' first novel, which began as loosely related comic stories. Originally, they publishers wanted them written to accompany illustrations of hunting sketches in a monthly magazine. The stories began to evolve and eventually became a more cohesive novel. It's interesting to see the transition from vignettes to an actual narrative story with a plot, but honestly, the first third or so were kind of a slog. After about 200 pages it really began to pick up, but I was tempted a few times to just give up altogether. I was glad I stuck with it, because it really is worth reading. Comic characters and caricatures are really Dickens' strength -- this is all the funny bits of Dickens, without the melodrama and the drippy ingenues. There are some truly hilarious parts in this novel. Pickwick and his friends get into all kinds of scrapes, and it takes the quick-thinking, streetwise Sam to get them out of trouble. Apparently Pickwick and Sam are sort of a British version of Don Quixote and Sancho Panza. 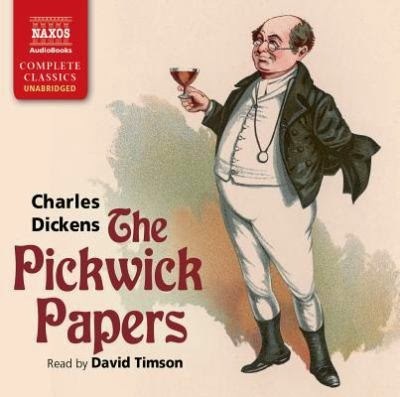 One thing I didn't care much for was the occasional digressions Dickens takes into stories and tales told within the novel, which really just seemed like filler. I don't know if Dickens was close to his deadline and needed more words, or if they were actually part of the original plan, but some of them really dragged. The only one I really liked was Chapter 29, "The Story of the Goblins Who Stole a Sexton," which I found interesting because it seemed like an early version of A Christmas Carol. There are also hints of future Dickens in the narrative, including long-term residents of debtors' prison, like in Little Dorrit, plus the biting satire of the court system in Bleak House. Dickens also gets some good digs about lawyers. I'm glad I finished it, but because it's sort of uneven, I don't think I'd count it among my favorite Dickens works -- it's definitely above Hard Times and Dombey and Son but not nearly as good as Oliver Twist and Bleak House. I'm counting this as my Very Long Classic for the Back to the Classics Challenge.